Once you make this recipe, you’ll never go back to mashed potatoes! NEVER! I made this dish for a dinner party. It was “bring a side dish”, and I wanted to do something extra special. This hit the nail on the head. I left the house in such a mess, and my sweet husband, who came home later than my departure, wondered if the girls had “done it again!”. I forgot to text him. There were peppercorns everywhere, and every dish I used out on the counter. I was running late! We’ve laughed about my pioneer efforts since then. 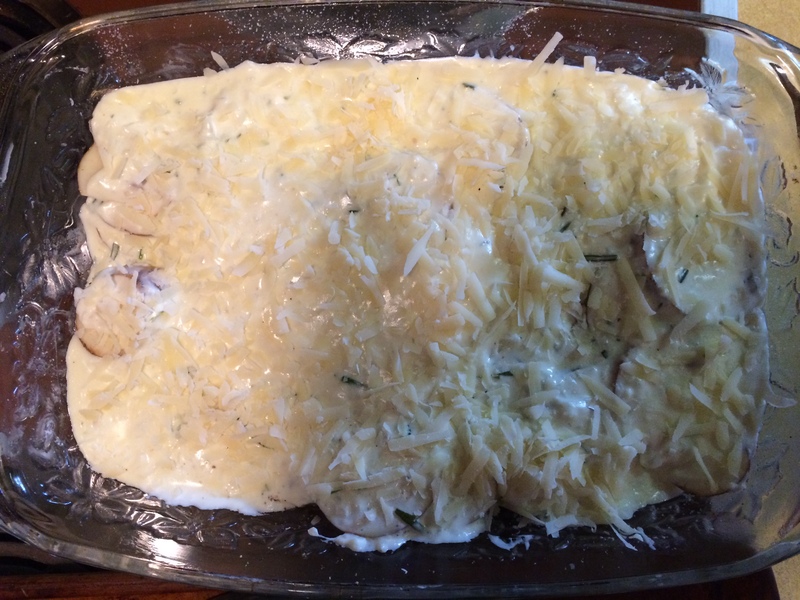 Preheat the oven to 350 degrees F. Rub the bottom of a 9-by-13-inch baking dish with softened butter. Using a mandoline or a very sharp knife, slice the potatoes very thinly. They’ll cook better that way. 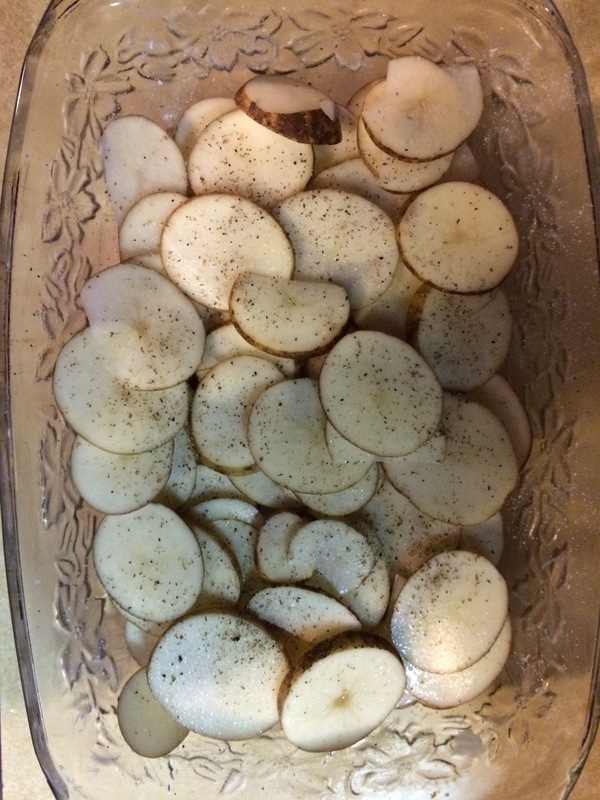 Place the potatoes in the baking dish and sprinkle with 1/2 teaspoon salt and some pepper. 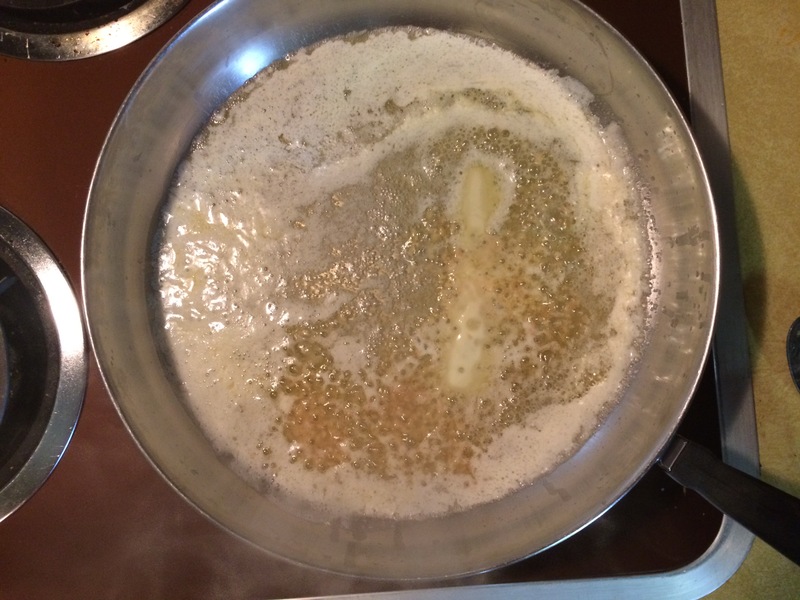 In a large skillet over medium-low heat, melt the butter. Add the garlic and onions and cook until translucent, stirring occasionally, about 4 minutes. Valentina was fascinated by this little chopper! I’ve had this kitchen tool for 26 years! It was a wedding gift! Can’t you smell the butter, onions, and garlic cooking? 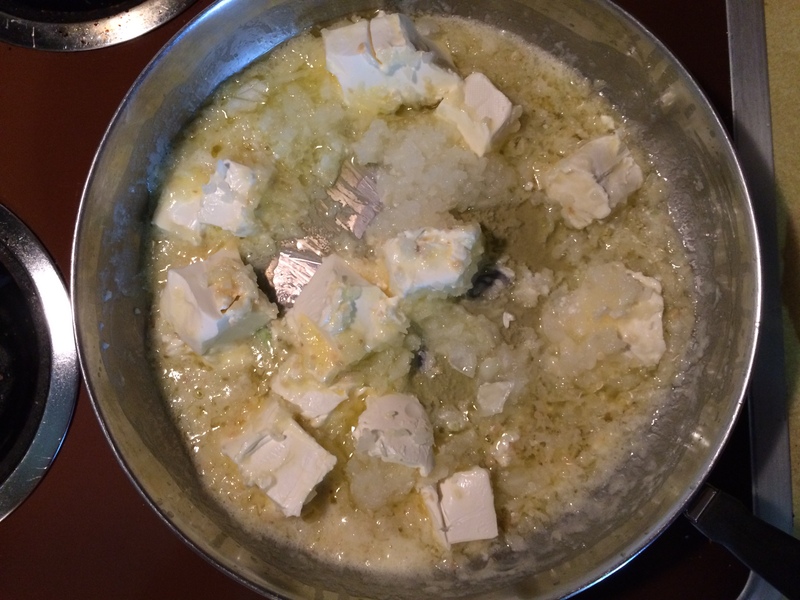 Cut the bar of cream cheese in half and add the halves to the skillet, stirring constantly. 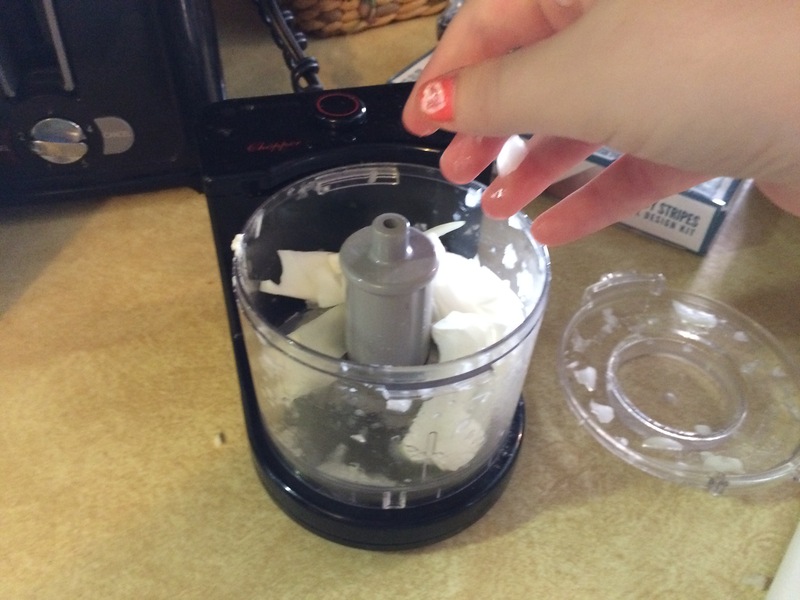 Continue stirring until the mixture is smooth and combined, about 3 minutes. Anything with cream cheese is my new favorite! Pour in the half-and-half and stir to combine. Mix in 1/2 teaspoon salt and some pepper. Taste and adjust the seasonings as necessary. Do not undersalt! Add the rosemary and green onions and stir to combine. Finally, mix in 1/2 cup of the grated Parmesan. 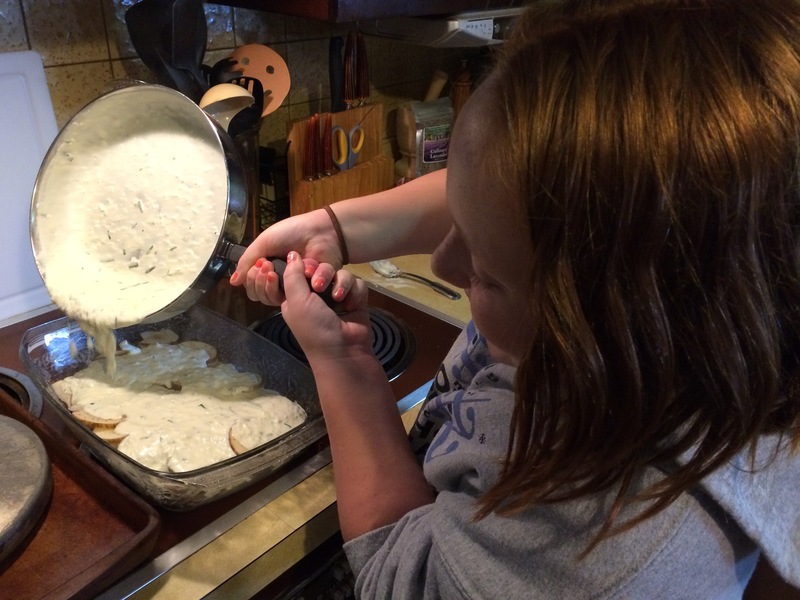 Pour the cream cheese mixture over the top of the potatoes. Scrape out the skillet to get every last drop. Sprinkle the remaining 1/2 cup grated Parmesan generously over the top and bake until golden brown and bubbly, at least 1 hour. Let stand for 10 minutes before serving. I would love to show you a picture of it cooked and done; however, it was all gone before I could do so! It’s that yuuuuuuuuuuuuuuuuuum! My mom shared that the sauce would be good for other creamy vegetable recipes. Previous I get to go to work!